Green Driver can drive you to the Méribel Mottaret resort from the airport of Geneva, Grenoble and Chambery for the same price as a taxi. Remember to book in advance to take advantage of the lowest rates. The Méribel Mottaret resort, in the heart of the Three Valleys, certainly has the best conditions to enjoy the largest ski area in the world. 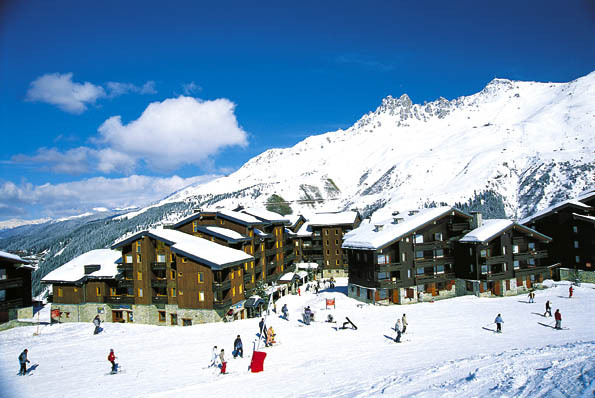 Méribel -Mottaret is a charming hamlet on the slopes, composed of modern residences. It is ideal for family holidays. Its terrain park is a reference for freestylers from all over Europe, both experts and novices. More: Méribel Mottaret snow is guaranteed throughout the winter season! Located at the top of the Méribel Valley, the heart of the largest ski area in the world, Méribel-Mottaret has direct access to 600km of pistes of the Three Valleys (Courchevel, Les Menuires, Val Thorens) and 150km of slopes Méribel. Created in 1972, the Meribel-Mottaret resort consists mainly of rental units on the edge of the tracks. The vast majority of housing offers direct access to the slopes. Its compact size that you can carry wherever you go inside the station on foot. Alternatively, enjoy a chauffeured car Green Driver for all your visits to restaurants, a nightclub, spa … We have a wide range of vehicles (hybrids, minivans, Mercedes) to meet all your requirements . Cars with Green Driver driver can drive you directly to your hotel or chalet in the resort. The wooden chalets in Meribel-Mottaret has a beautiful architecture that blends harmoniously into the landscape. The majestic Mont Vallon rises to 3000m above the station, it is surrounded by a pine forest and natural reserve Tueda, part of the Vanoise National Park, with its lake, pine forests, its tracks cross-country and hiking trails. Is the larger of the two areas. The Laitelet is located on the west side of the station and the center extends from 1700m to 1800m Hamlet. A cable car offers free access to all the Laitelet and residences 8:45 to 19:30. Down the Laitelet area is the Hotel 4 * ALPENRUITOR, the Résidence MAEVA BLUEBERRY, the Residence Plein Soleil, Hotel LE MOTTARET 3 *. At the top of the area you will find the Hotel 3 * THE AROLLES and ODALYS Residence. 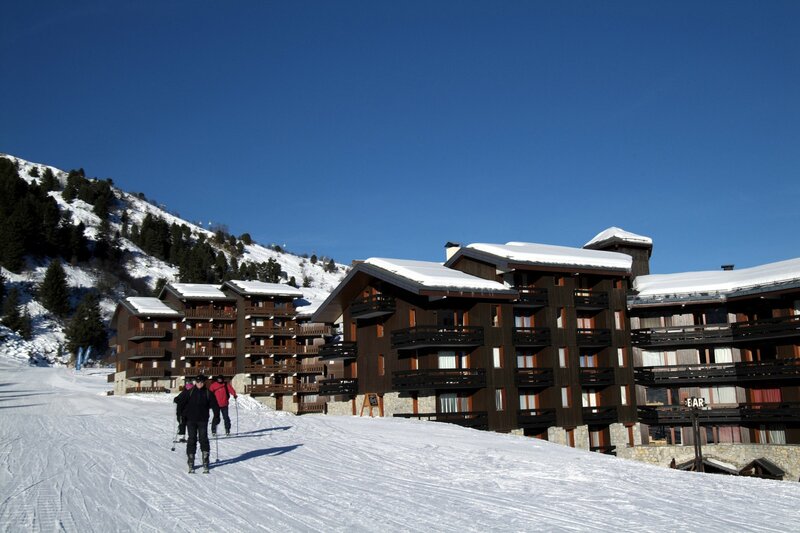 Located on the east side of Méribel -Mottaret and facing west, Le Châtelet enjoys maximum sunlight throughout the day. Down the Chatelet area, there are several residences with Pierre et Vacances TRAILS TUEDA THE PASTURES OF MOTTARET and the Le Mont Vallon 4 *. At the top of the Châtelet, you will find the Pierre et Vacances Premium Les Crets and many others. The lower and upper areas of Le Chatelet are connected by an outdoor elevator. In both zones, several residences offer private apartment rentals, which are managed by real estate agencies and GSI Immobilier AGENCY Saulire. In Méribel-Mottaret you will find a tourist office, a cinema, a nightclub, bars, restaurants, small supermarkets and many shops of clothes and sports equipment. ski school meeting points are all located in the lowest part of the station between Le Châtelet and Le Laitelet. There is also a club for children between 3 and 5 years: the club of “Piou- Piou”. The resort offers multiple activities: Alpine skiing, snow park, cross country skiing, snowshoeing, paragliding, sleigh rides, snow bikes, hiking. There are also 2 spas. Geen driver can take you easily from shopping and services center of Méribel for the price of a taxi. The Olympic Park is located in the center of Meribel with a pool, an ice rink, a spa, a gym, a climbing wall, bowling alley and a nightclub. Do not forget to book your return transfer to calmly enjoy your stay by being certain that a driver will pick you up at your hotel or chalet destination Airport!